Rob N: The first thing to say about El Niño is that it's a big towering monster of a story. Indeed, as R.E.M. might say, it's bigger than you and you are not me, and even in its minimalist digital format on my iPad it feels strangely weighty, as if they've gone and printed it on especially heavy molecules of electrically charged and magnetically ionised air, or whatever digital files of comics are made of these days. Weighing in at almost 400 pages of densely written story, El Niño isn't the sort of slim pamphlet you can happily peruse in your half hour lunch break while snacking on a sun blushed and caramelised dolphin steak with a mozzarella baguette, and believe me, I've tried. The publishers helpfully describe it as a Heart of Darkness tale, alluding presumably to the Joseph Conrad novella, but personally it puts me in mind more of Eric Ambler's classic 1939 thriller, The Mask of Dimitrios (a novel that enjoys the unusual accolade of being the book James Bond reads while flying to Istanbul in From Russia With Love) in which the protagonist hears a possibly apocryphal tale of a mysterious Keyser Soze style criminal and, fascinated by the story, proceeds to follow a trail of clues across Europe in the hope of finding out more. This then is the basic formula for El Niño – a tale that revolves around Vera Michailov, a plucky and resourceful woman of Eastern European gypsy parentage who was since westernised in her youth, and at the start of the book works as a Red Cross nurse travelling through various wartorn parts of the globe as part of an international aid team. With the death of her burnt-out, alcoholic, musician father, she learns that far from being an only child, she was in fact one half of a pair of conjoined twins (sharing a common hand) and that after being separated surgically (she got the better half of the deal, limb wise) she was kept ignorant of the existence of her brother, Kolya, until now, for reasons that remain a secret. In the intervening years Kolya, lacking Vera's more privileged western upbringing, has allegedly led a colourful life becoming the notorious pirate, El Niño, whose exploits are the stuff of legend in the Pacific region. This then quickly sets the scene for Vera's journey of discovery as she sets herself the task of tracking the elusive and shadowy Kolya down from the scant clues she has to begin with; a journey that takes her through regions of the world beset by poverty and injustice. And the farther she goes, the more she learns about this mysterious figure who may or may not be the sum total of all these conflicting tales. If the general quest of a 'larger than life figure' theme evokes the spirit of Conrad and Ambler, then the storytelling approach taken here also seems familiar enough to readers of (long since cancelled) Vertigo books such as American Virgin, American Century and Outlaw Nation. 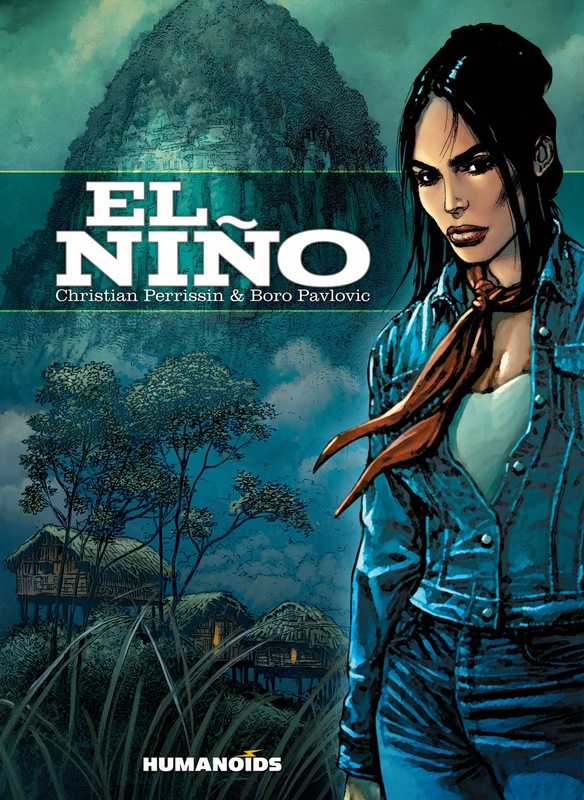 In fact both from a story and an art perspective, El Niño could easily have been commissioned as a Vertigo series roughly ten years ago. It brings with it an unavoidable air of moral certainty (if not superiority) and a 'Guardian reader' social conscience as it critically explores many aspects of the difficult struggle for survival that faces people living in the Third World – a theme that runs successfully in parallel to the more conventional adventure story itself. The artwork is what I tend to refer to as 'cartoon realism' in that the attention to detail and location is accurate and precise without resorting to a photorealist style. Like many European comics that draw from 'real world' genres, the pacing, flow and panel perspectives tend to emulate the old school film styles of the Sixties and Seventies, favouring steady camera shots and long tracking scenes as opposed to the more frenetic cutting and chopping of oblique perspectives found in US superhero and sci-fi comics. This suits a storytelling style where lengthy periods of dialogue often serve to propel the narrative forward. 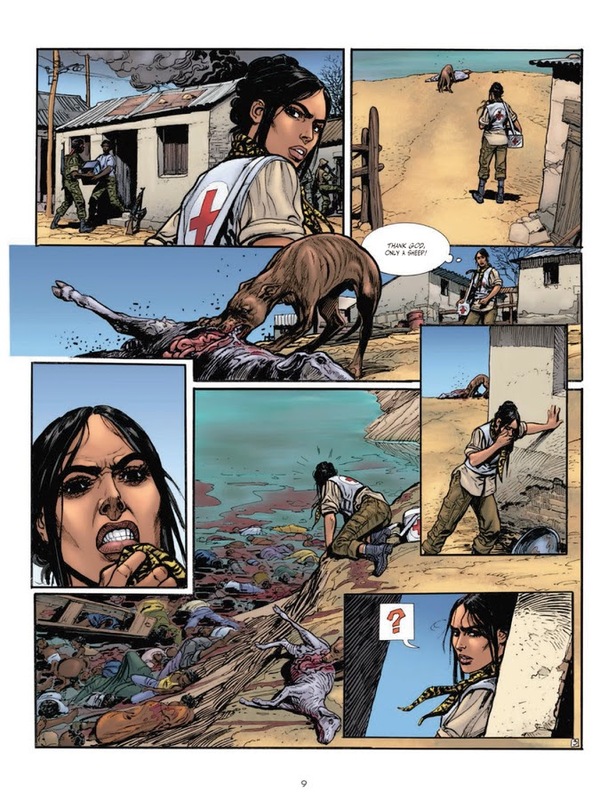 Vera herself is that refreshing and rare thing in comics – a realistically drawn and believable female protagonist who never comes across as being overtly sexualised to appeal to the fanboys. Although El Niño is without doubt a thriller/adventure story, it follows the conventions and limitations of real life by and large and you never really feel that the characters are stock action heroes. In this, the story works well, though some people may find the realistic approach limiting if they're used to their heroes and heroines dropkicking each other with flying kung-fu moves in the fight scenes. It's really not that kind of book. The dramatic resolution regarding the search for Kolya, when it comes, occurs halfway through the page count, leaving me with the impression that this may actually be two separate volumes collected together in a single book, for the second half of the tale then moves in a tangent, taking Vera away from the Pacific and her initial quest, on to Afghanistan for adventures of a very different kind. Editor's note! This is actually an omnibus edition that collects 7 volumes of the original comic.